THE world is wind, sky, bog and horizon. Nothing more exists except the cries of birds. Time, being a concept of man, is not required here. There is only now. And dead dreams among the flowers. What were those lines Patrick Kavanagh once wrote . . ? Is spread in the bottom of a ditch under two coulters crossed in Christ’s Name. Jesus. Tragedy and futility. Stick your boots in the turf of this island and they fill up with the bog water. My spirit isn’t a wet sack flapping – it’s the call of the curlew. But a few miles to the south amid the debris and cracked voices of East Belfast – where anniversaries stand like Neolithic heel stones – people are sweeping up glass as black smoke from burning tyres drifts above the roofs. Plenty of spirits flapping like wet sacks about the knees of time down there. 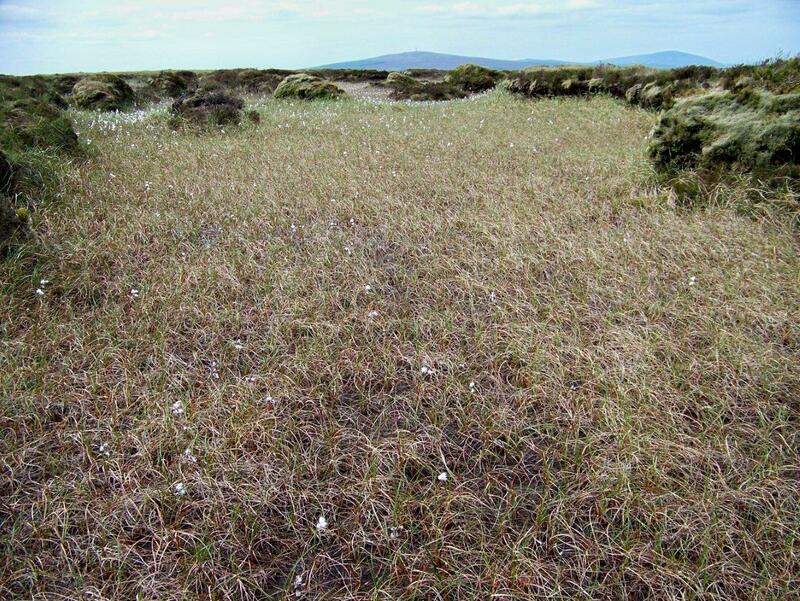 Up here, in the moorlands above the Antrim glens, where the air is pure and bog-cotton bobs on the wind, there is only now. I like that line. There is only now. I’ve a feeling it’s a Van Morrison lyric – which is more than appropriate, if you ask me. And please feel free to do so. And these four elements – wind, sky, bog and horizon – have remained unchanged in this haunting place since the glaciers slithered and grated to the Irish Sea 10,000 years ago, leaving the landscape to fend for itself. The wind is scything from the west – from Derry and Donegal. The sky is wide and blue, just as it was the day Finn McCool tossed a clod at Fingal on the Mull of Kintyre and created the Giant’s Causeway. The bog is omnipresent and in places deadly. And the horizon . 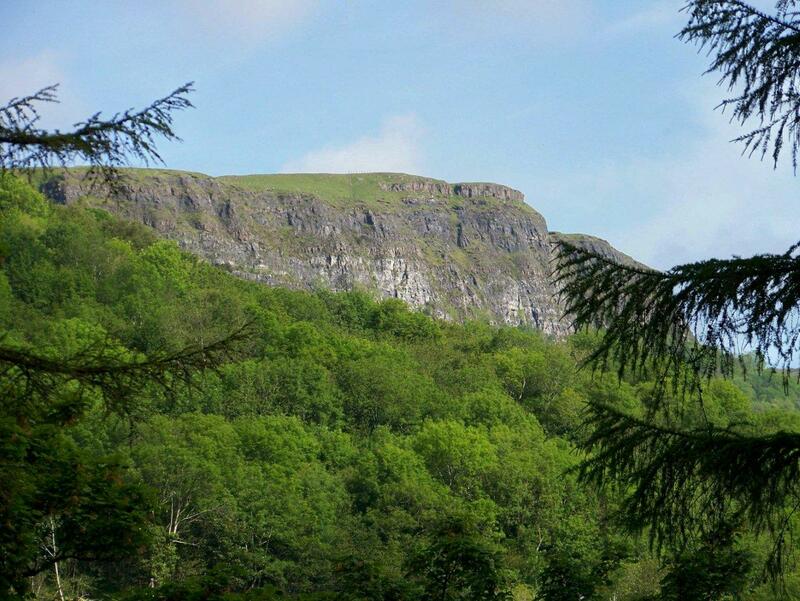 . . the hills fade from green to brown, to blue, to grey and to white in ridges and layers that roll on for ever. Seemingly. This is walking country. A fortnight ago I had no idea it existed. 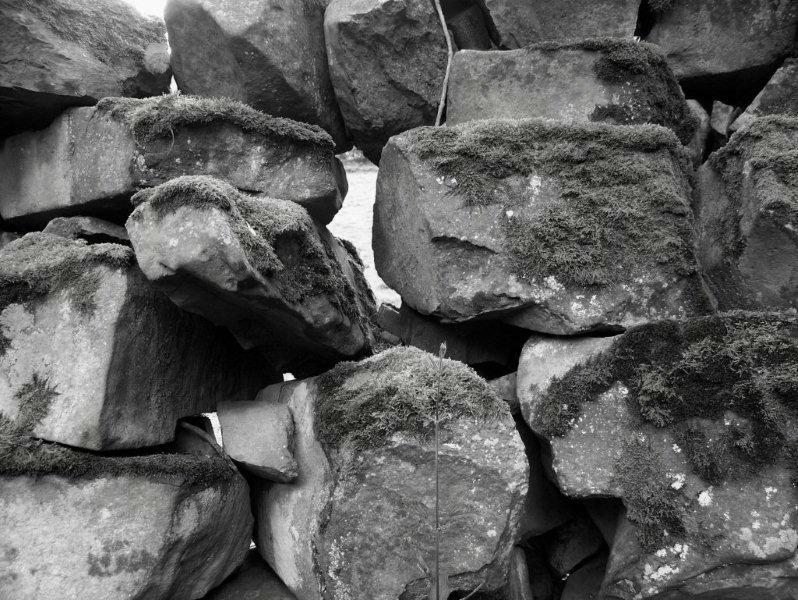 Then things happened – and here I am, standing on the crest of an escarpment that rises in sheer walls from the rural tranquillity of Glenariff. Early this morning I followed a zigzag path from the valley bottom, passed a sign that said “Private Property No Access” rather ineffectively, crossed the old trackbed of the first narrow-gauge railway line in Ireland – that once carried iron ore from Victorian-era mines down the fellside to a harbour at Waterfoot – found another zigzag path that snaked between the crags, and emerged in the sunshine near the summit of Crockravar. This is one of those walks you make up as you go along. On this post-glacial plateau there are no paths, only bogland and ridges, and a man can drift where the wind takes him. This is a place to stride out with the sun on your face, as oyster-catchers call and tiny flowers nod in the breeze. 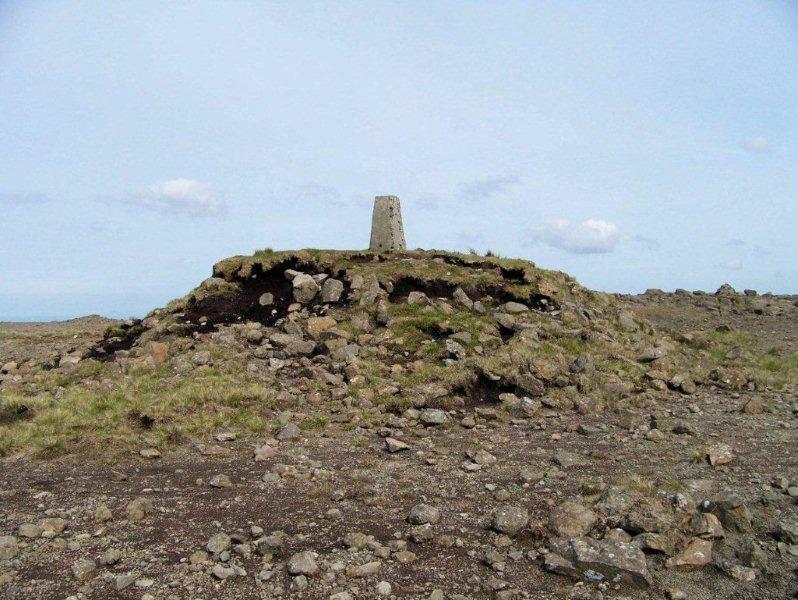 There are no spectacular summits – just rolling turf that squelches a little and rises occasionally to grassy mounds crowned with cairns. Some places, though, are to be avoided. Between the summits of Crockravar and its neighbour, Little Trosk, lies a stretch of ground marked “Dangerous Walking Area” on my map. There’s a collection of tiny lochans glinting in a great, flat basin of bog about half a mile across. In a different climate in a different country, this would have been a shallow lake. 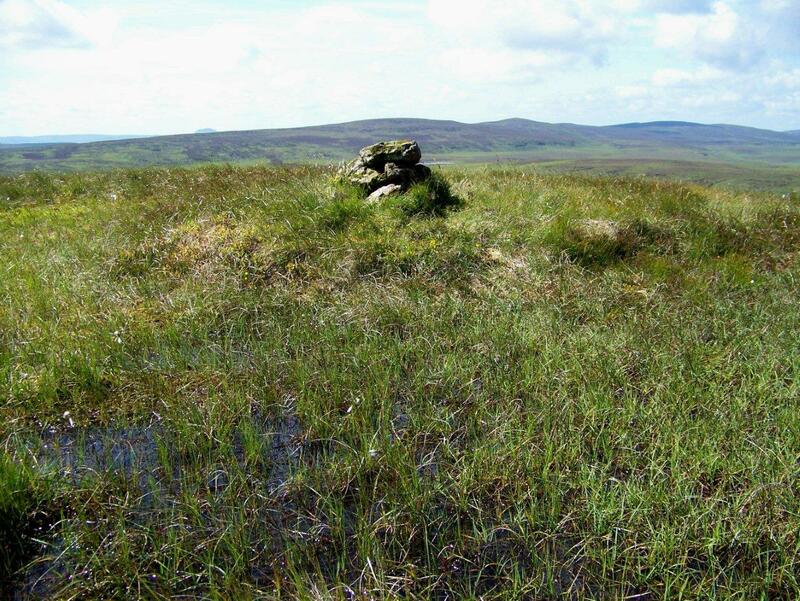 Here the rapacious bog has taken over. 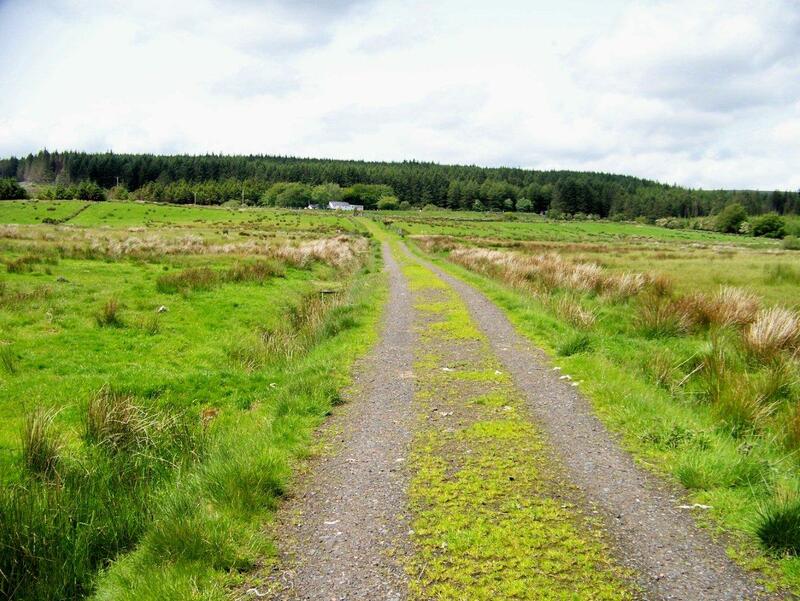 It’s probably full of Iron Age corpses, perfectly preserved in the peat, along with a few luckless shepherds of the Patrick Kavanagh variety and the odd holidaymaker. I steer clear. Every body continues in its state of rest or uniform motion in a straight line unless compelled by some external force to act otherwise. 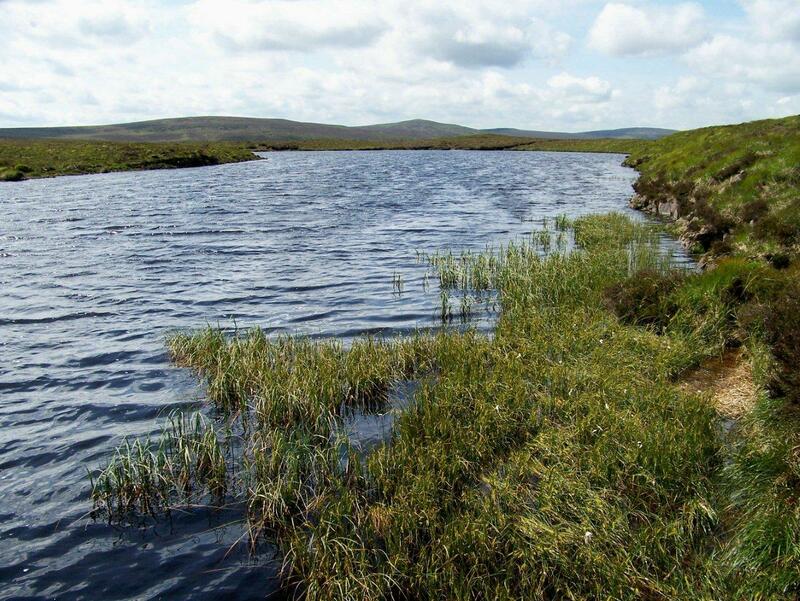 From Crockravar I head in a straight line towards Collin Top, pausing only to take pictures on the banks of an unnamed and hauntingly wild lochan. Nothing deflects me from my course. No external forces hinder my progress or compel me to abandon my uniform motion, not even a treacherous bog. 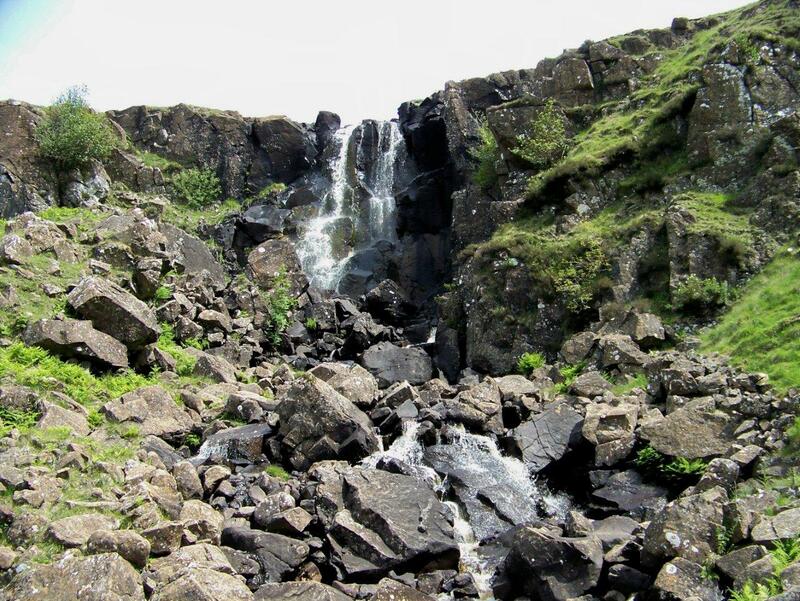 And from Collin Top I take another straight line across waterlogged ground to a waterfall at the head of Glenariff, nearby which I discover a spring issuing from a crack in a rock in the most biblical of fashions. It’s possibly a saint’s well, perhaps even Patrick’s – who as a Christian slave to the pagan Niall of the Nine Hostages tended his flocks on the slopes of nearby Slemish before moving on to greater things. A straight road through a forest, a straight track to a farm, and a straight hike up a hill lead me – again undeflected – to the windy summit of the marvellously named Slievenanee. And here, as swifts skim above the cairn, I gaze out across the great green patchwork of Antrim to Loch Neagh, the Sperrin mountains and the distant hills of Donegal. 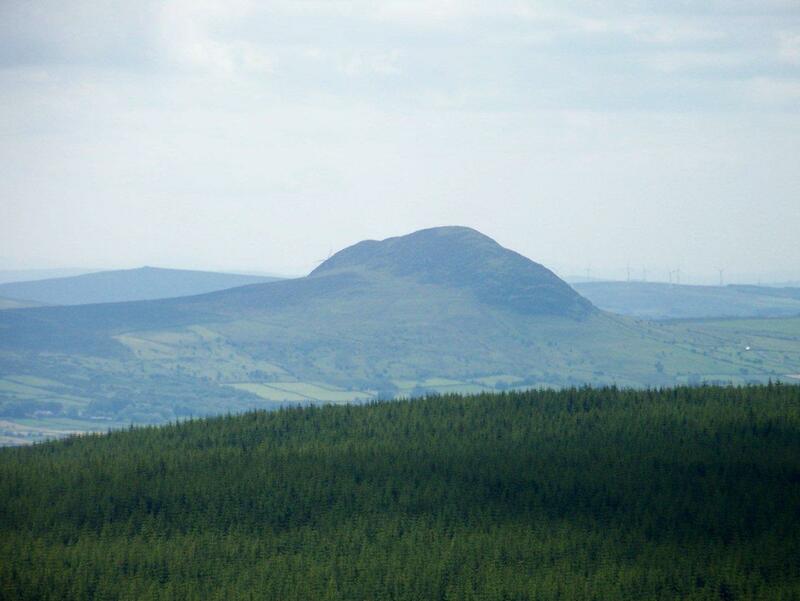 After crossing a bogland shot through with black grikes and hollows of liquid peat – but again in a straight line – I reach Trostan, which at 550 metres (1,804ft) is the highest peak of the day. And from a cold summit of stony tundra, in an absolutely roaring wind, I marvel at this intriguing land of gently rolling ridges and wide, wide horizons. 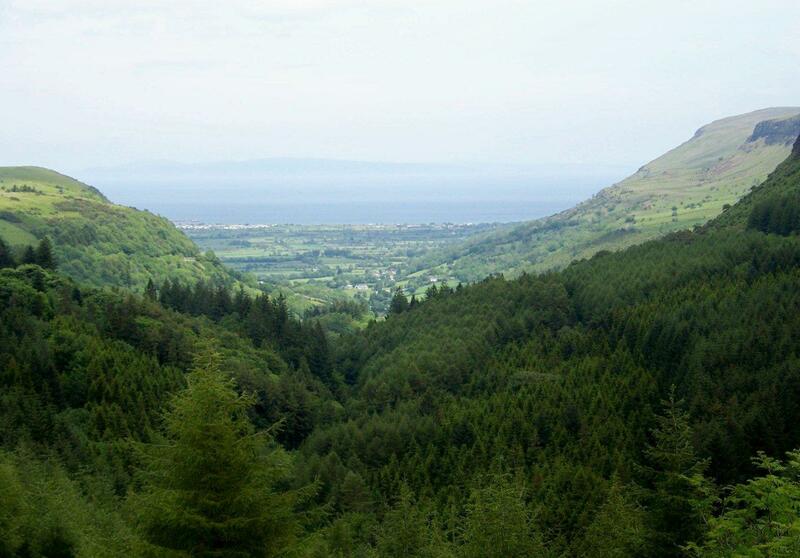 Up here above the Glens of Antrim, nothing more exists except the cries of birds. There is only now. And another country unfolding beneath the soles of my boots. NEW: Because They’re There is branching out into video. 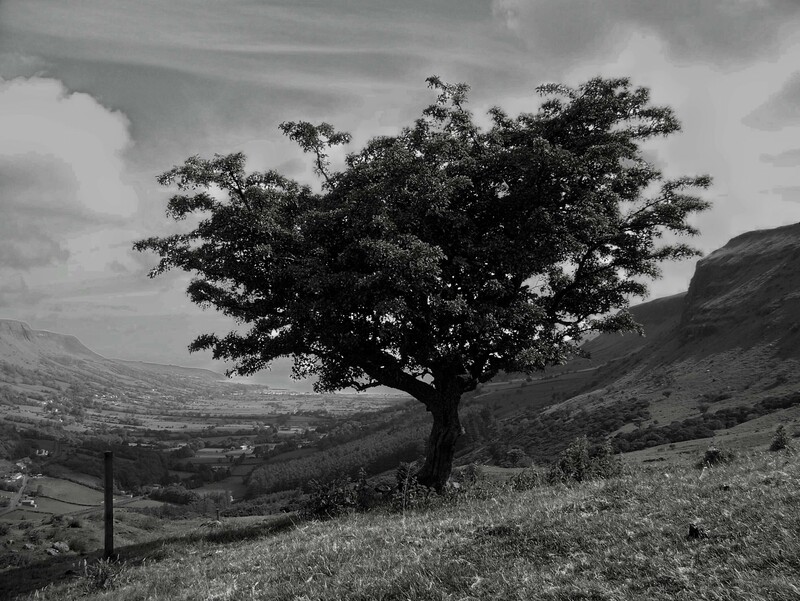 For the film version of Above the Glens of Antrim, and some meaningless banter from a chap in a red T-shirt, click the YouTube window below . . . 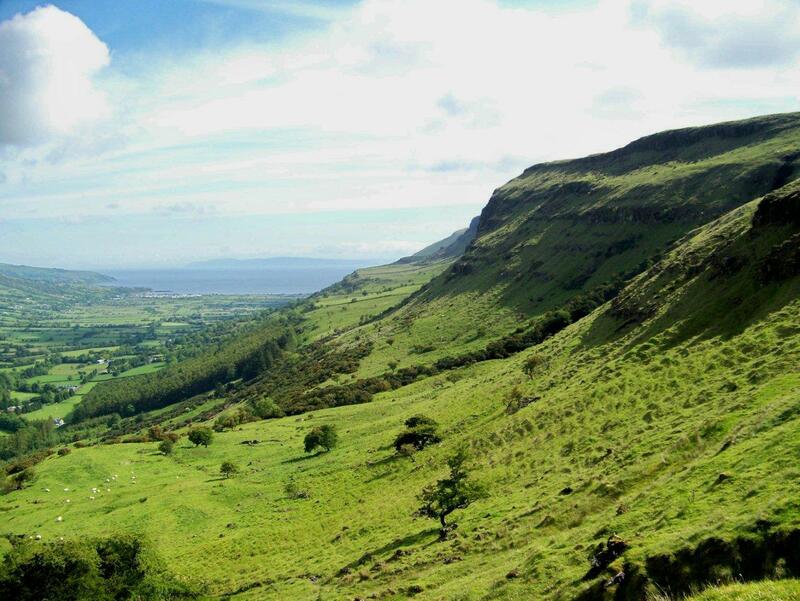 Thinking of visiting Antrim and its glens? We stayed in Callisnagh House for the week. It’s a perfect base in a perfect location. 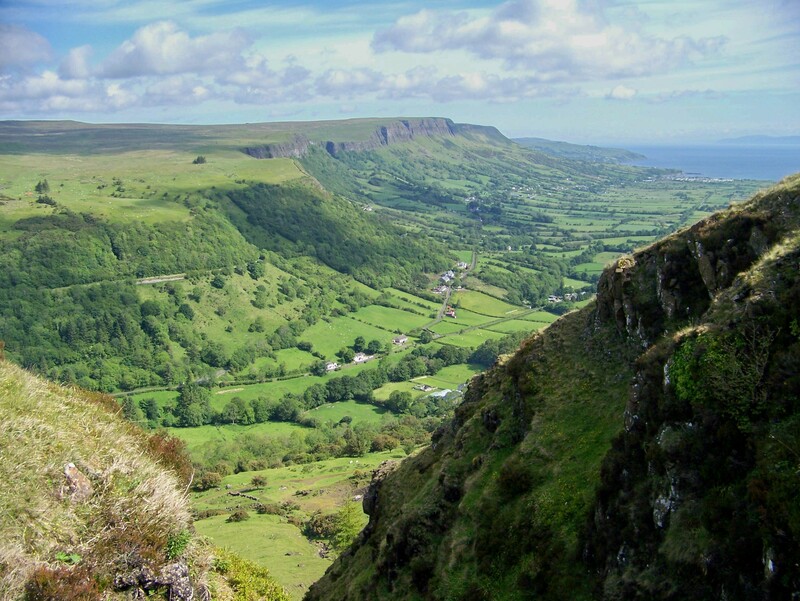 This entry was posted in Climbing, Environment, Hiking, History, Mountains, Walking and tagged Antrim, Ireland. Bookmark the permalink. Very “lost world” any pterodactyls ? maybe they’re down in Belfast ? Unfortunately, there’s still a lot of evidence that they exist. Finally feel like Ive met you, great ramblings-never a true word spoken ‘The curisoity drags you to the top’ thanks for the video . Hey, thanks for that Paul. I noticed that you did a High Street walk a week before me, and a big bike ride a couple of days before me. I think on the law of averages we’ll bump into each other one of these days. See you up there sometime. 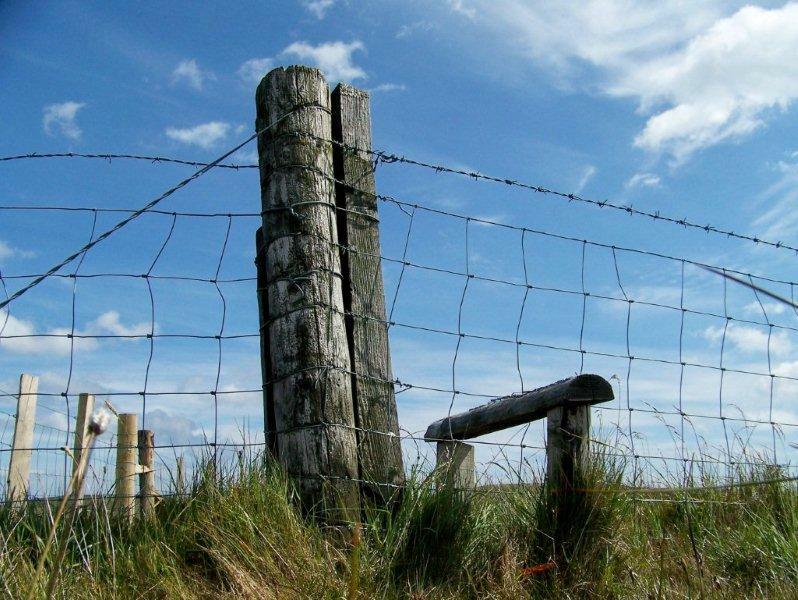 What a lovely blog, why was your spirit like a curlew? I’d love to know. Why not a gull or a plover? Is there something special about curlews in Antrim? 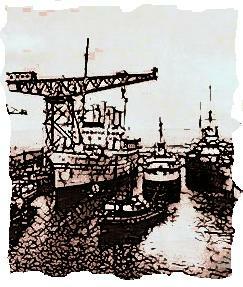 Recently went to Glenwherry. Hi Mary. I’ve always liked curlews. There is something wild and moorlandish about them. Plovers are okay but I’m not so keen on gulls.